A body consists many organs and cells that work together in a systematic way. Each has its own different function, yet working harmoniously as a whole. A disruption to an organ will impact the others. Just like a body, a company has many departments that work together for smoother operations. When talking about the different departments, cultivating a harmonious workplace is the key factor that determines the success of a company. Having supportive team members makes the work fun. The healthy, supportive relationship with colleagues creates a high-morale work environment that leads to better productivity and results. “When people care about the people they work with, things get done faster. People will go the extra mile, they will take ownership of a job, a decision or problem and work through it without feeling like they have to go up the chain to get things done”, said Skip Weisman, a leadership and workplace communication expert. See also: How to Manage Conflicts Among Employees? However, it is common that people who work together can have issues, tensions and conflicts. “If you have one bad apple in the bunch, it can really hurt the morale and enthusiasm of an entire department”, says Andy Teach, author of From Graduation to Corporation, and a host of the YouTube channel FromGradToCorp. Always Respect. Some old-school workplaces trapped with seniority tradition which lead the new hires and young colleagues to be less-respected, even undervalued at work. The age-gap and long tenures of work often lead to seniors feeling more superior. In such environment, new employees can feel uncomfortable, even threatened at the office. They cannot perform optimally or be failing altogether. Therefore, HR managers and employers should always insist on ‘respect tradition’ amongst employees by walking the talk. Naturally, employees will follow suit. Effective Communication. To build a good relationship with colleagues, being a good speaker and listener is required. Employees are encouraged to speak up and express their arguments. In the other hand, they are also obliged to listen and respect others’ opinions. Such fair and open conditions will create a comfortable yet highly productive workplace where everybody has the same chance to express their thoughts and contribute their best to the company. Avoid cliques. Employees frequently form groups with other colleagues who have similar ages, job positions or departments. 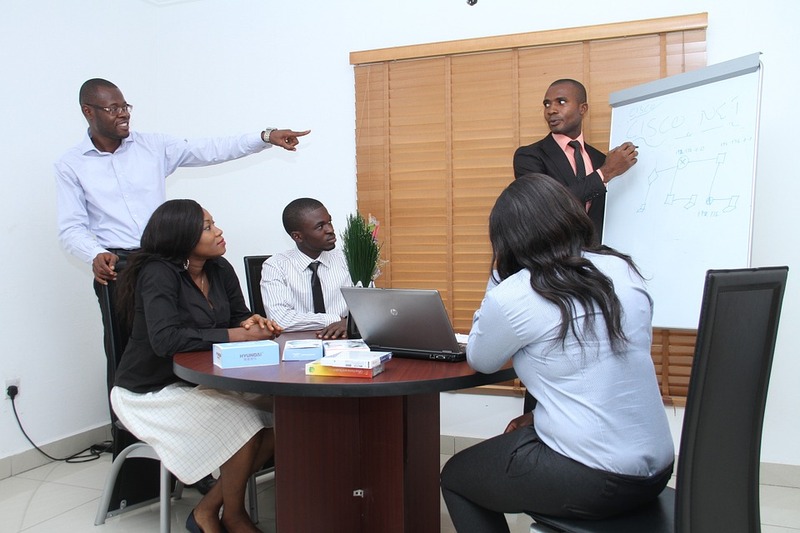 Though seems to be natural, however, grouping amongst employees will create gaps and dampen the teamwork cohesions. As not all can get along with one and another at the office, conflicts will be appearing more frequently. Be helpful. Everyone has to manage their deadlines and daily tasks. However, focusing on their own duties and tasks could create selfishness and ruin the cohesive work environment. Instead, employees should be encouraged to be sensitive and helpful to each other without neglecting their duties. Be likeable. Not all employees can get along well with others or have difficulty in socialising. Instead of avoiding them, they should learn to put aside personal differences and learn to work as a team. Building a good relationship with colleagues to enjoy a harmonious work environment needs efforts and patience. A collaborative effort to enhance overall company performance and self-development. Next read: TGIF Phenomenon: How to Make Friday as Productive as Monday?